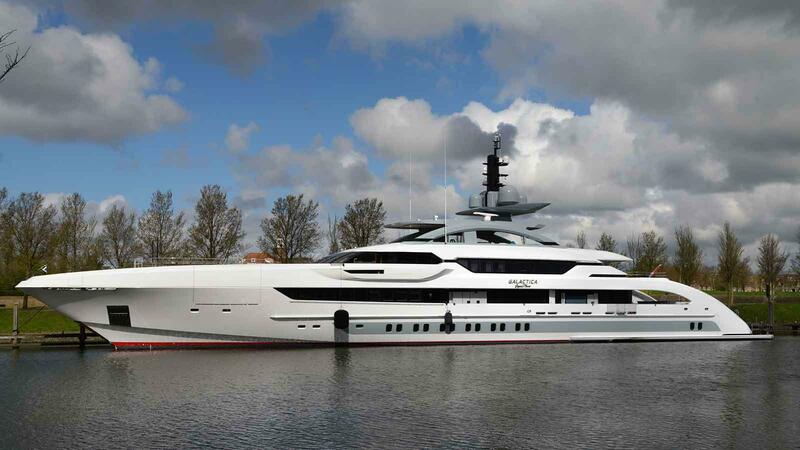 Styled in collaboration with Eidsgaard Design, she features a pair of superyacht helipads and an outdoor cinema. 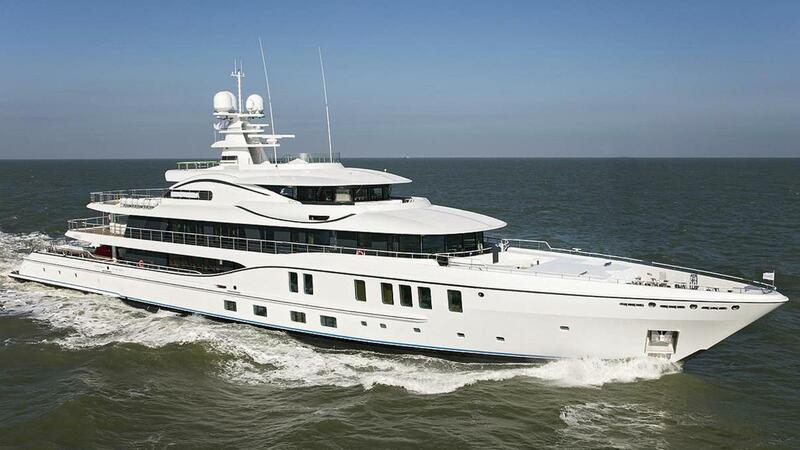 Upon the launch of Vanish in January, Feadship described her as “a springboard to a world of adventures”. 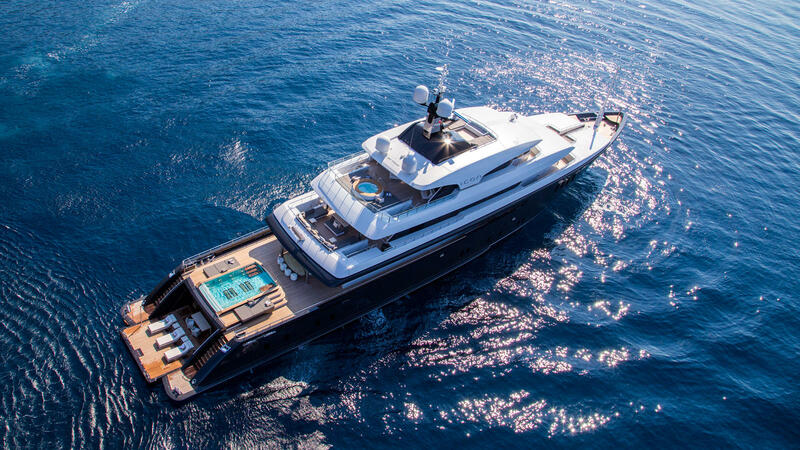 Okto is currently for sale and is one of the largest brokerage yachts at the 2016 Monaco Yacht Show. Featuring interiors by the late Alberto Pinto, this tri-deck displacement yacht features a 6.5 metre aft-deck pool and a circular dining room. Okto is currently for sale through Moran Yacht & Ship with an asking price of €54,500,000. 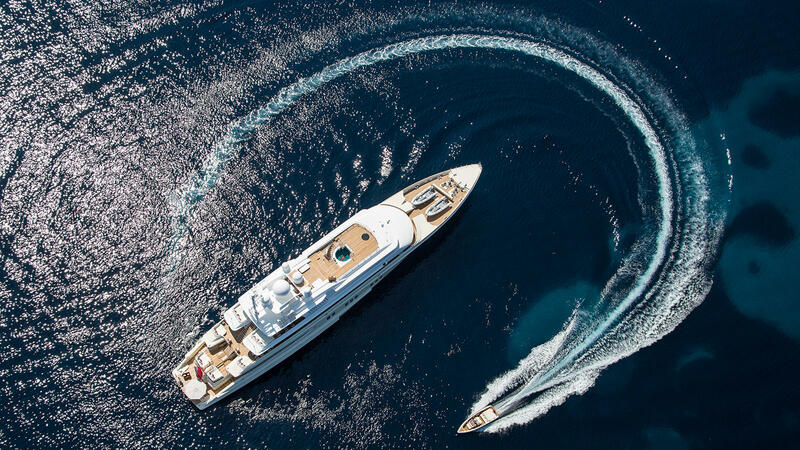 Launched in 2010, Icon is for sale at the Monaco Yacht Show and, at 67.5 metres, she’s one of the biggest. 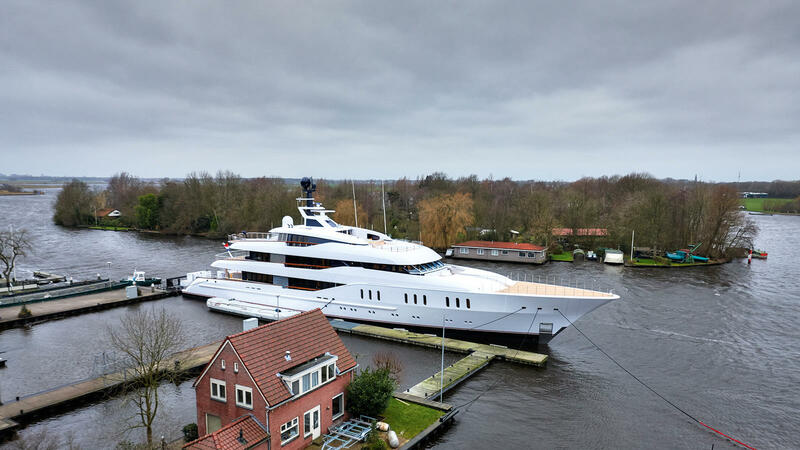 The largest yacht launched to date by the Harlingen-based Icon Yachts, she was refitted in 2014 with a five-metre swimming pool added to the aft deck, as well as a gym and sauna in the beach club. Offered for sale through Camper & Nicholsons, Icon is asking €62,500,000. Returning after her 2015 Monaco Yacht Show debut, Suerte is offered for sale. The flagship of Italian yard Tankoa Yachts, she creates a strong connection to the sea through her large tender garage, glass-floored swimming pool and aquarium. 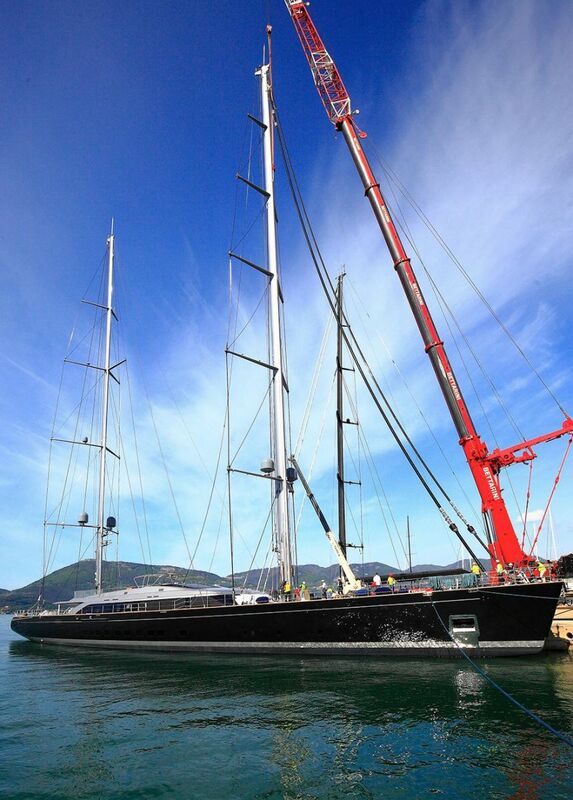 Measuring 69.3 metres, Suerte will be one of the biggest at Monaco. Currently listed with Northrop & Johnson, Suerte is asking €59,900,000. Commissioned for multiple yacht owner Bill Duker, Sybaris will be one of the largest sailing yachts at the 2016 Monaco Yacht Show. The 70 metre ketch was launched by Perini Navi earlier this year with a sail plan of more than 3,000 square metres split across two carbon fibre masts measuring 72 and 62 metres respectively. Sybaris’ PH Design interior décor has been described by Duker as “minimal, but not minimalist”. The largest yacht built so far by Dutch yard Heesen, Galactica Supernova is sure to turn heads in Port Hercules. Measuring over 70 metres, she’ll be one of the largest at Monaco Yacht Show this year. One of Galactica Supernova’s standout features is the aft deck swimming pool, which is fed by an on-board waterfall and includes a jet stream for lap swimming. Her colourful interiors are by Sinot Exclusive Yacht Design, while the accommodation is for 12 guests across six cabins. German yard Lürssen is strongly represented at this year’s Monaco Yacht Show, with Martha Ann just one of its prominent superyachts going on display. Delivered in 2008 and refitted in 2014, this steel-hulled displacement yacht boasts a spectacular interior by Francois Zuretti, including a superyacht elevator and 110-inch home theatre. At 70.2 metres, she’ll be the fourth largest yacht at MYS. Martha Ann is asking $79,000,000 with IYC. One of the late Jon Bannenberg’s most notable designs, Lürssen Coral Ocean is heading to the 2016 Monaco Yacht Show after a recent refit. One of the largest yachts at MYS is also a ground-breaking one – she was one of the first to feature a gym and a spa area when she was first launched in 1994. Although not officially confirmed yet, Plvs Vltra is highly likely to join the fleet of the largest yachts at the 2016 Monaco Yacht Show, as a brand new 74 metre Amels yacht has been confirmed for the Port Hercules event. Sold by Moran Yacht & Ship and delivered in August 2016, Plvs Vltra is the first superyacht in the Amels 242 Limited Edition series. 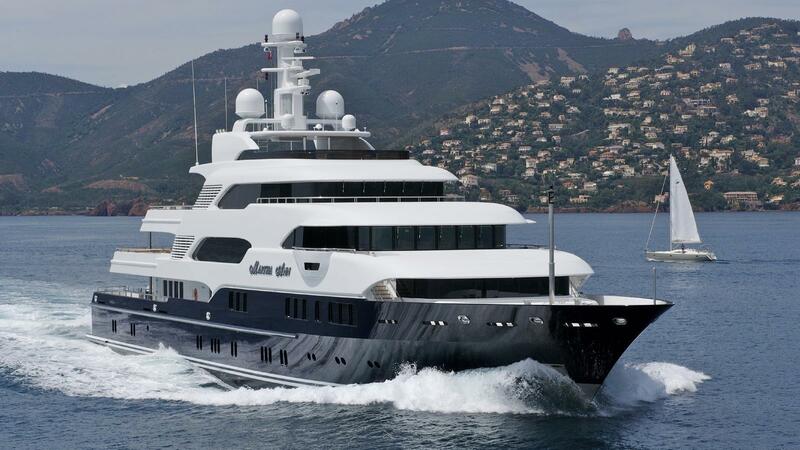 She features exterior lines by Tim Heywood and Winch Design interiors, and her name means “further beyond” in Latin. Launched by Lürssen in 2008 and refitted in 2011, TV is for sale featuring Alberto Pinto interiors that can accommodate 16 guests across nine staterooms, plus a crew of 25. Her exterior is ideally set up for entertaining, with a helipad on the aft deck that can easily be converted into an al-fresco dining area. At 78.4 metres long, there’s only one superyacht larger than her at Monaco Yacht Show in 2016. Listed for sale by Moran Yacht & Ship, TV is asking €92 million following a recent €38 million price reduction. Launched in 2004 for the multiple yacht owner Jim Clark, Athena is for sale at the 2016 Monaco Yacht Show. 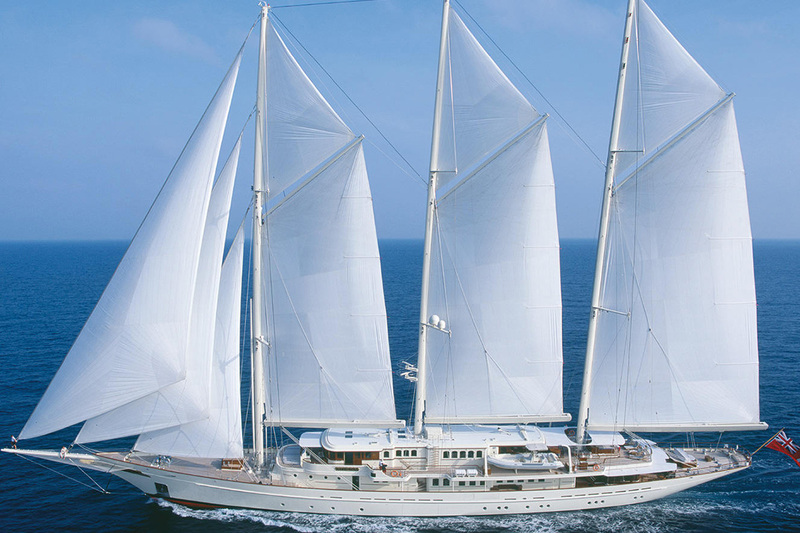 The largest yacht built at Dutch yard Royal Huisman to date, Athena is the largest yacht at the Monaco show and the fifth largest sailing yacht in the world. This triple-masted schooner can host ten guests in supreme comfort, with refined interiors by Pieter Beeldsnijder and Rebecca Bradley. Her graceful lines evoke the styling of classic yachts such as Creole. 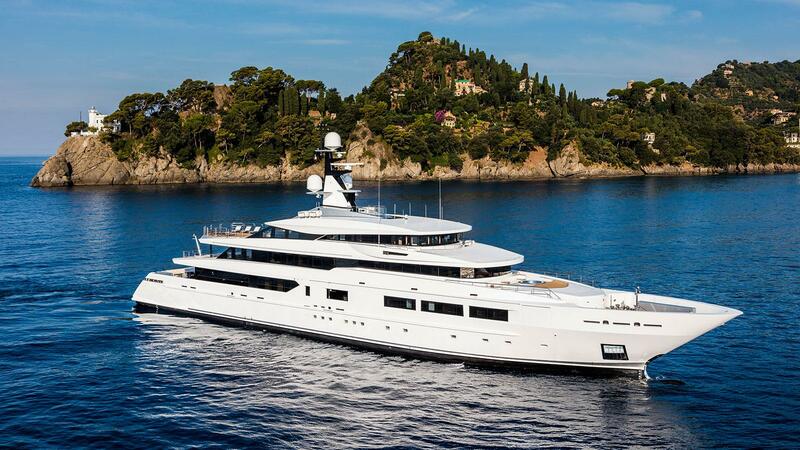 Listed with Burgess Yachts, Athena is asking $69,900,000.